Drive Motors, which provides ecommerce solutions for car dealers, has completed a $5.2 million round of seed funding. Bullpen Capital led the round and was joined by existing investors Y Combinator, Khosla Ventures, Perkins Coie LLP and Emagen Entertainment Group, among others. Drive Motors began providing online checkout options for dealer websites last year after finishing Y Combinator’s incubator program, the company said in a news release. “It’s always seemed odd to me that buying a new car is so incredibly complicated. It seems like something that should just work, once I’ve picked out what I want,” said Y Combinator partner Aaron Harris in a news release. It currently generates more than 1,000 monthly car orders for dealers, according to the company, with more than $250 million annually in order volumes for its customers. 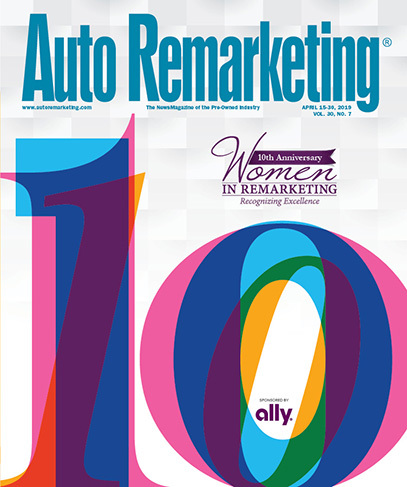 As noted in a 2016 story from Auto Remarketing, the company provides dealers with software that facilitates direct-to-consumer sales on the dealership’s website. With this white-label solution, the customer goes to the dealer website to buy. Dealers are then charged a monthly fee to use the software. Drive Motors offers online checkout to dealers and dealer groups like Asbury Automotive Group, which was one of its first customers. Asbury now includes the Drive Motors product throughout the entire group. “The industry is changing, and I think it’s changing for the good. Similar to when we didn’t post car prices online 10-15 years ago, and now obviously it’s common standard ... if you don’t do it, you get left behind,” Asbury chief marketing officer Miran Maric told Auto Remarketing last August during an interview about the retailer using Drive Motors. “When we look at it, it’s mainly about respecting the customer and the amount of information that they want and what they need,” he said. Instead of selling directly to the customer, Krane said in a 2016 interview that he wanted to take the “opposite approach” to what's commonly referred to as disrupting the standard auto dealer-based car sale. Companies like Roadster, for example, have taken a similar approach. In a pivot from being an online vehicle concierge service with more of a consumer-facing mindset, Roadster launched Express Storefront in 2016 and changed its model to include dealers. That summer, it began making its e-commerce platform available to dealers as a white-labeled solution. As part of the Drive Motors investment, Bullpen general partner Duncan Davidson will join the company’s board. Davidson said in the release: “We are excited to back Drive Motors as they have captured the elusive Millennial car buyer for dealers, by selling cars the way Millennials like to buy – online with full information – and yet delivering twice the profit to dealers for the convenience. “It’s a great example of thinking outside the bubble, and leveraging the existing value of brick- and-mortar businesses, rather than being disruptive for the sake of it,” he said.